Taurus, as a representative of the elements of earth, can probably not expect any exceptional "bonuses", but, on the other hand, this fact means that he is not meant to meet obstacles which he will not be able to overcome. However, with regard to the sphere of personal relationships, the current year cycle will be really interesting, if not fateful. Despite the fact that in each separate situation everything will develop very very individually, in broad terms Taurus will be able to boast of heightened senses. Your intuition will suddenly become your primary weapon, that is, all other things being equal, it is still logical to obey the voice of your heart, and certainly not to follow rational promises. In the eternal struggle, the heart will defeat reason, and, despite the fact that for you personally this will often result in consequences which are not the most positive, in the long run all your acts will prove to be completely correct. In this regard it is very important not to doubt your own strength, even when everything in the world around you literally rises up against you. Your loved ones will be nearby when they are required. It's true, not all of them will be. 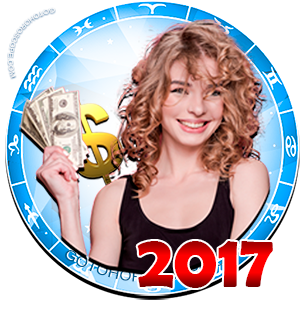 This is also a fairly significant point, which already in the first months of 2017 will help Taurus to set priorities. And of course there is no point in being particularly worried if you are disappointed in somebody you trusted. You can't change the past, but it is always better to move forward when you know who is close to you. "Masks off," as the saying goes! But ahead there is only an unknown future, which you should only discover together with those who have not turned away from you at difficult moments of your life. 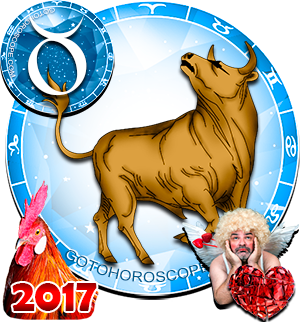 On the whole, 2017 will be quite uniform for Taurus, in the sense that in the projection on the sphere of personal relationships no special, exceptional points can be isolated. 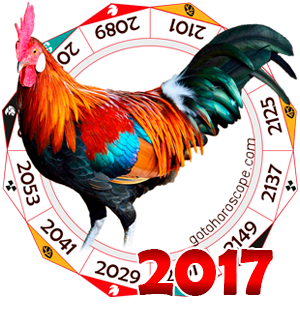 On the other hand, far from everything will advance according to the given vector, there will be "bumps" as well as "potholes", and the second half of 2017, the year of the Fire Rooster, is exactly of this order. 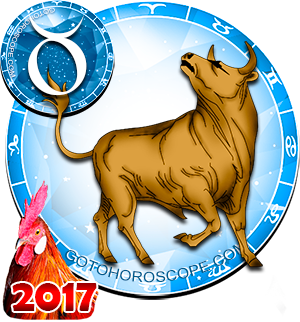 Fortunately, Taurus is traditionally not the sign which can be frightened by the difficulties and setbacks of the vicissitudes of fate. Quite a lot has befallen you which nobody else would have been able to withstand, so a little bit of shaking will not knock you off the saddle. Especially since, as already mentioned, there will not be any really large-scale problems, which doesn't mean that every problem will prove to be easy and require minimal effort, of course. 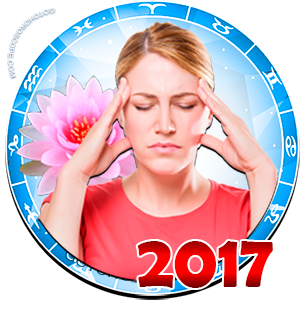 In the second half of 2017 you, dear Taureans, must not under any circumstances estrange yourself from your loved ones, and if the situation forces you to choose, the choice needs to be obvious. This could prove to be somewhat difficult, however, as such a choice will determine your future life in many ways, and it will be better if you are with the people you are confident in, those who will not leave you. A little bit of kindness never hurts in the situation when you don't know what to do. If you have reached a dead-end, open up to the people who are near to you. The situation will immediately change to your advantage. As far as a "better half" is concerned, single Taureans have a real chance of finding one in the second third of the year. Of course, the end of spring and summer is traditionally a time of holidays and thus leads to holiday romances, but it's more than that. 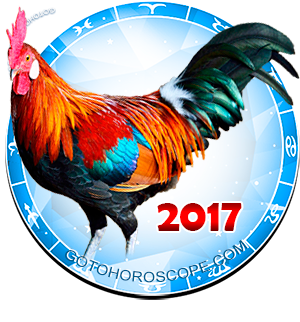 For you, dear Taureans, 2017, the year of the Fire Rooster will be the most favorable period for the appearance of a really dear person in your life. It's true, but with a small reservation - Taureans will not be able to comprehend immediately that they have met their better half. I have been badly let down by my husband, a Libra. We have been married for 29 and known each other for 30 years. At the begginning of 2015 he told me he does not love me anymore but denied having an affair with a woman, who was working as a prostitute. During 2015 I was subject to verbal and physical abuse although his real aggression was towards the prostitute who has found a more suitable rich and free lover. At the end of 2015 the woman left my husband and then he confessed that this relationship had been going on for 5 years. He abused my love, my dedicated support for all his business activities and my personal wealth. Had been honest somewhere between 2010-2015, neither he, nor I, nor our only daughter would have suffered financially. I hoped that at least he would pull himself together at the age of 70 and start behaving himself like a responsible family father, something which we all thought he was. This year he met another woman, a "desperate widow" who has become his new wallet!!!! With money he borrowed from her, he rented a large flat and took a lot of furniture and valuable pictures from our house, even the contents of the freezer he took with considerbale agression. At the end of October, finally he moved out of our house which still has a mortgage to be paid. For the time being he is paying it but I do not know what the future will bring. I am lumbered with all the outgoings of the house which I had paid anyway in the past. My husband is splashing the money he hasn't got on new picture frames, electrical equipment, TVs etc. What he can't afford, the new wallet is paying. At the end of the month, after all the expenses, what I am left with is just about enough to buy food. From being able to go to a concert or cinema, to socialise...I can only dream of these things. I also asked him to take the only car because I can't pay the leasing. When I read the horoscope for 2015, it was written that Taureans born on 4-6 th May would be affected worst from Saturn. My B/Day is one of these days. I read 2017 in the hope that life will start improving for me. As for a new man....please excuse me if I say that I am unable to hear the word "Man" because I lost my trust in them. 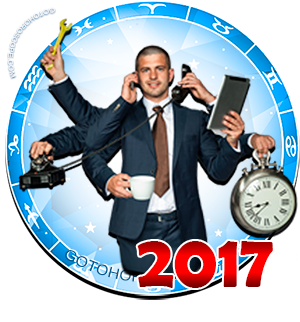 So, probably I will not notice the one who may turn up in the second half of 2017 !!! I know there are a lot of women in my situation and some men too. Although I do not know any of you, I pray that everyone gets what they wish for. Please also pray for me so that I can survive this very difficult phase of my life....I really did not deserve it......give give give....find happiniess if I could put a smile on my husband's face used to make me happy. I haven't learned to take. Maybe I should. Have a Happy 2017 Taureans !!! You will survive your trials and come out ahead, I have no doubt! I thank you and Denise for your support. I llearned very late in life that loyalty and other traditional values donr always pay off. However, I am glad that at least betrayal has come to an end. A separation can be done in a civilised manner, especially when it involves two highly educated people like us. In my case even this wasnt possible. Two years of "brutality" was the prize for my loyalty, not to mention the loss of a handsome fortune. If you are wondering what the husband is up to ? He is going on holiday paid by his new wallet to a wellness hotel !!! What am I doing ? Looking at a heap of bills, wondering which one I should start with. Karma....if there is such a thing as Karma, I hope it bites. Dont worry. I keep praying to God.